I WON A FANTASTIC QUILT! Wow what a fantastic day Wednesday turned out to be. At the Coastal Prairie Quilt Guild meeting, starring our speaker from Grayslake, Illinois Ebony Love, a guest was introduced and she had a fantastic surprise. 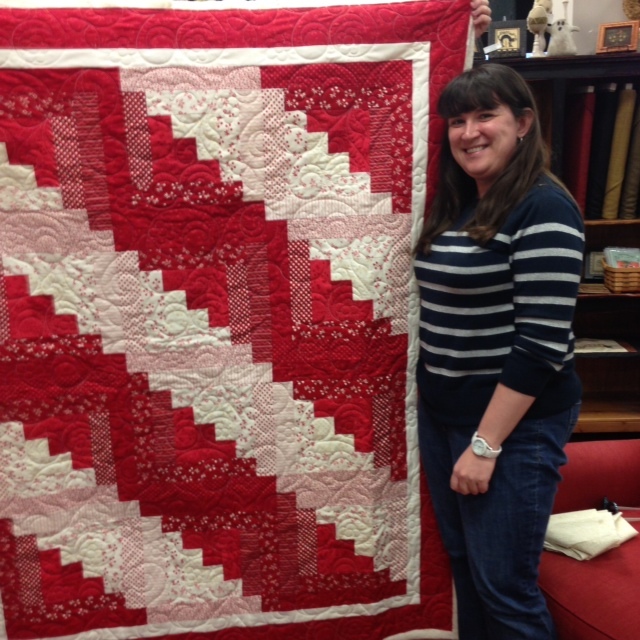 She was from the Lake Jackson guild – Plantation Quilt Guild – and had their donation raffle quilt which had been won by one of our members! Imagine my surprise when it turned out to be me. WOW! My day for sure. 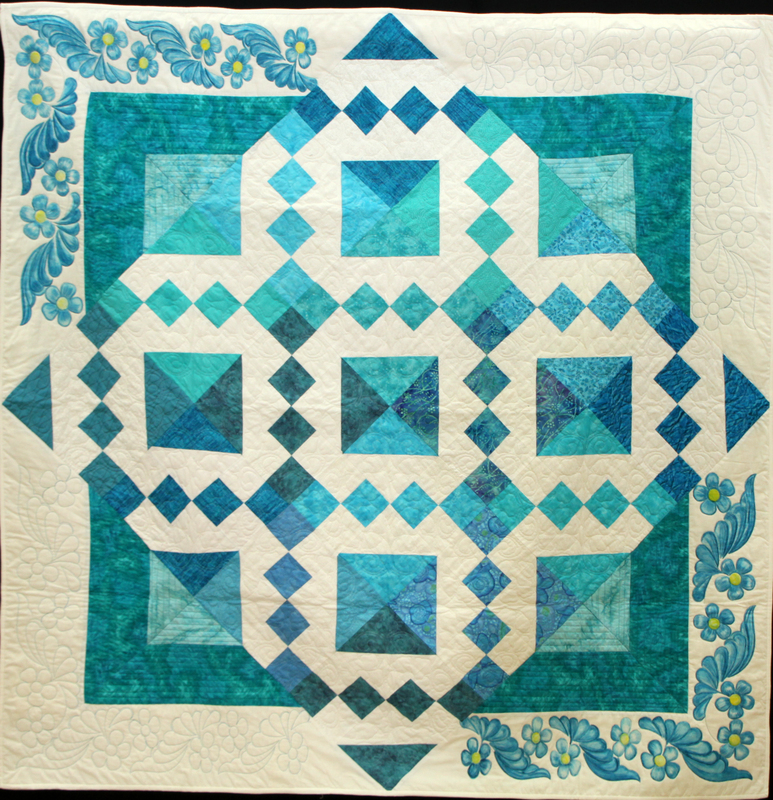 Isn’t this quilt super and so much fun! 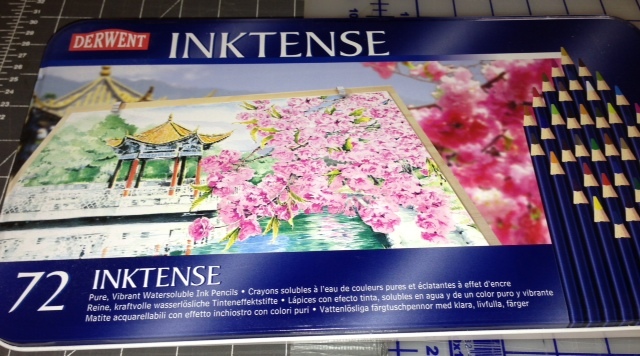 I love the colors and will hang it in my house today. I will give it “entry-hall” treatment. So excited. Then, I even won a door prize that night. 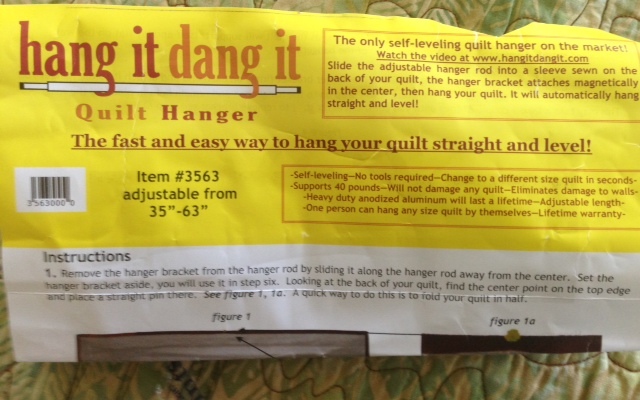 EVERY QUILT IS “SEW” DIFFERENT AND SOOOOOOOOOO MUCH FUN! 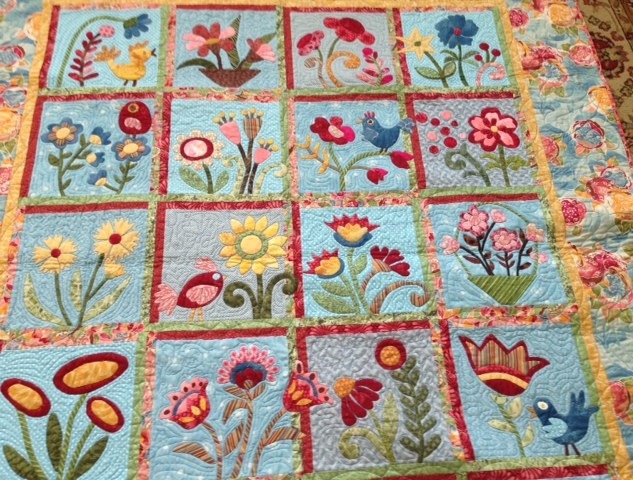 Well, I have one more quilt to go and I will be caught up with my schedule of quilting customer quilts. These last few have been fun and I think their owners will like them. One has a minkie back. I really love the way quilting shows up on Minkie. 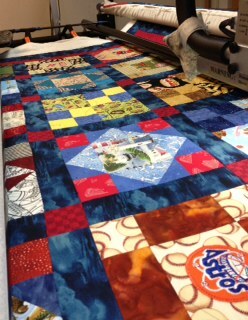 I have worked on quilting these the past few days and when I finish one more T-shirt quilt I will be on schedule again. The costumes were worth the effort though, my daughter and her team loved them and they went on to win a banner for top team in the contest. Their next contest is this Saturday and then one in mid-February. Hope the rest of the season goes as well for them. THE GREATEST APPLIQUE LADIES I KNOW. 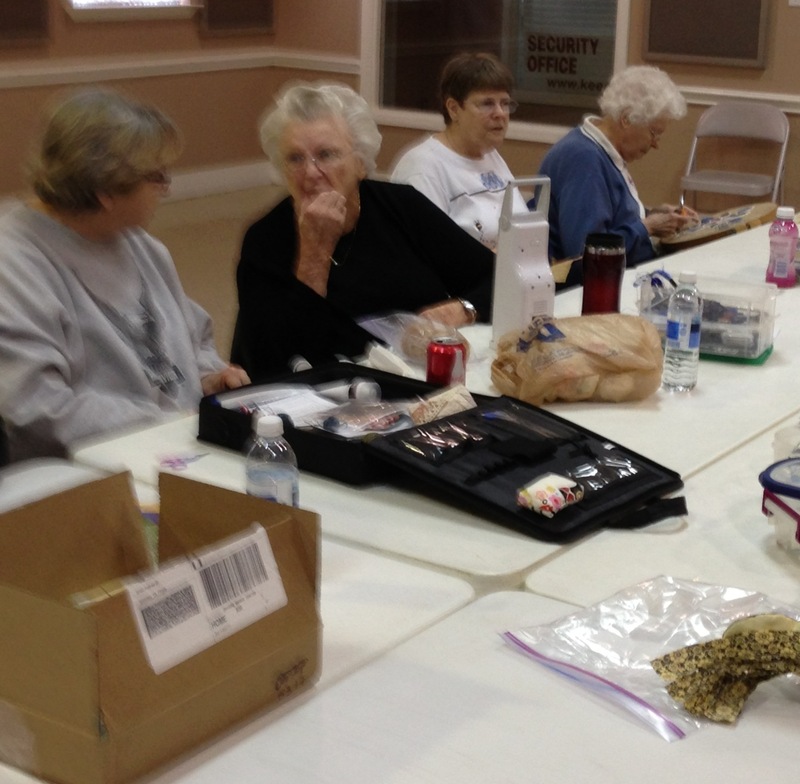 My usual Tuesday morning is spent with a group of quilters, mostly from Sugar Land, Tx. It was a quiet day today – we just haven’t gotten into the swing since the holidays – too much rain. Usually there are some absolutely beautiful quilts and blocks to see. 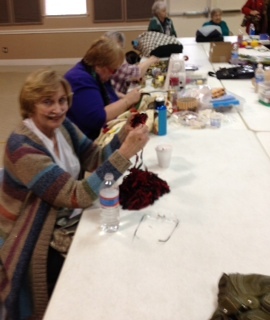 These ladies excel at applique! The pics below show some hard at work. 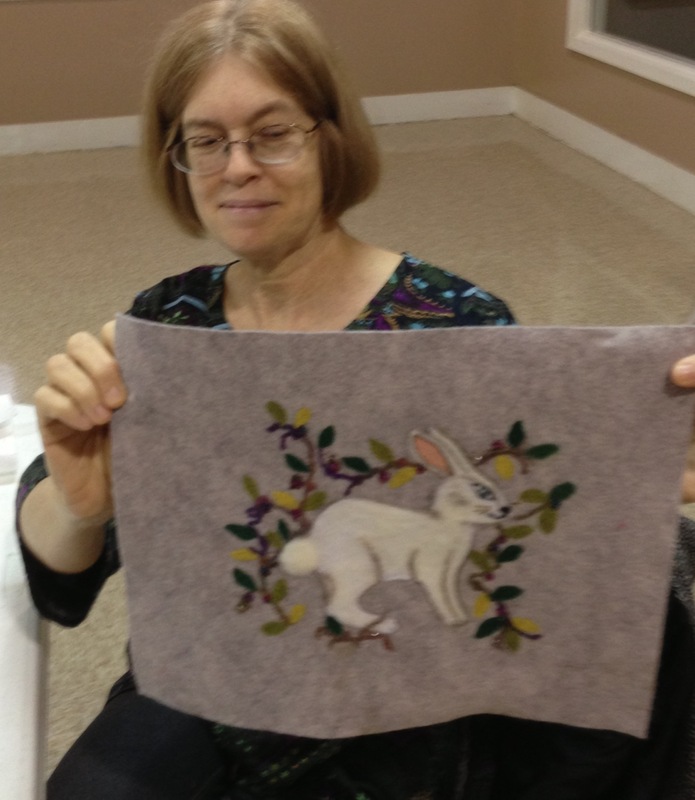 Val, the lady holding the bunny has gotten into felting. 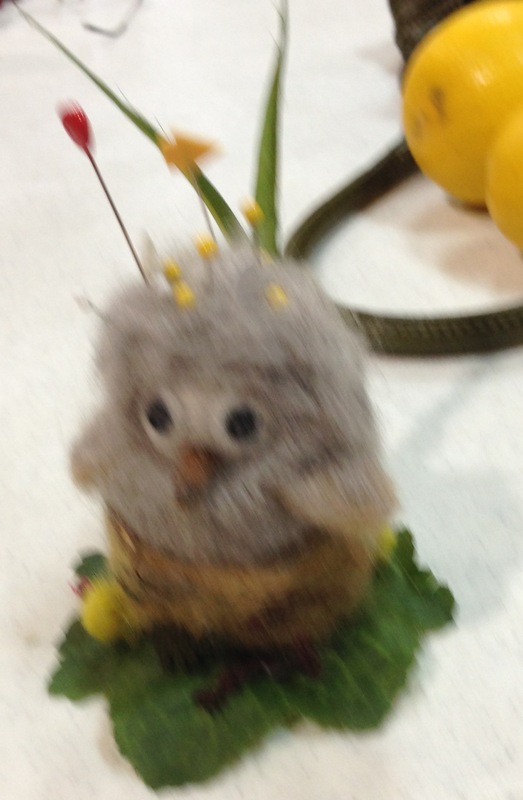 The bunny is great but don’t you love the felted owl? 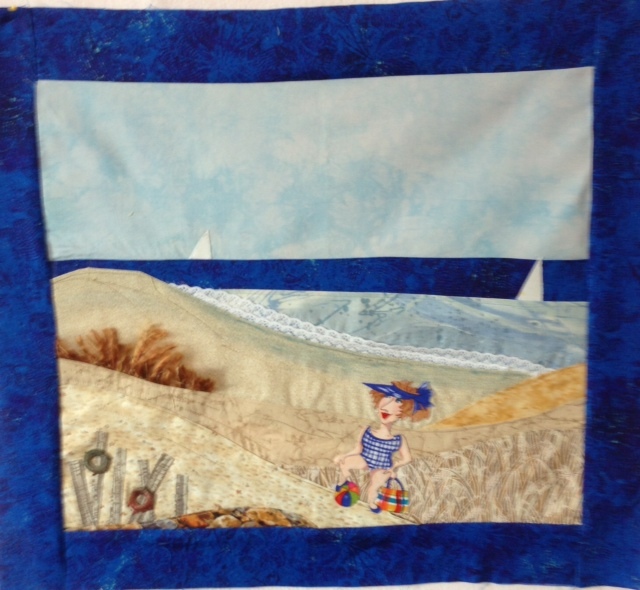 BO’S PLACE – A GREAT PLACE HELPING GRIEF WITH QUILTS. Last stop for the day was a place called Bo’s Place. 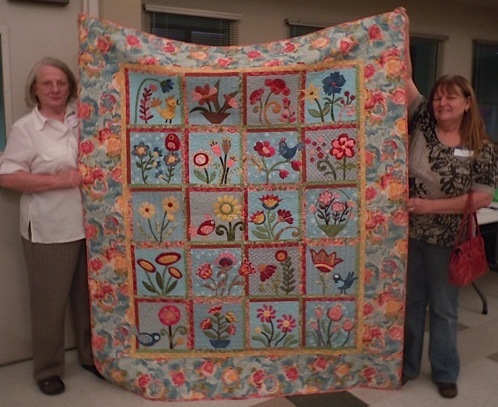 Our quilters guild has been piecing and quilting quilts for them or over 5 years. Bo’s Place is a non-profit that works to help as many children and their parent(s ) as they can face and handle the grief of loosing a sibling or parent. No charge to those participants. Part of their therapy is makin a memorial square for their loved one. We take the squares and sash and quilt and bind them. 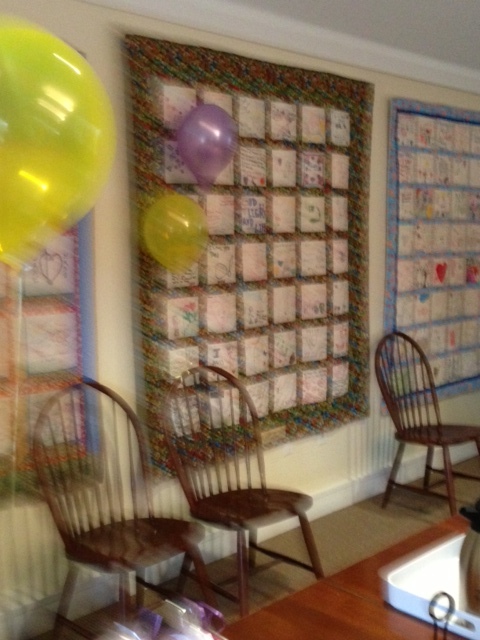 Quilts are hung all over the facility in memory of all of those lost and those that remember. Because of privacy I could not take great pic of the quilts-a good excuse for blurred images. 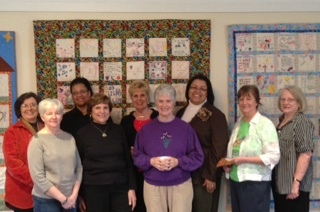 The group of ladies standing in front of some of the quilts are the guild members that helped to put the quilts together. What a fantastic place! Untll tomorrow – BE HAPPY!